A psychological thriller sure to appeal to fans of William Boyd and John Le Carre...Can she trust them? Can you? Helen is in a hotel room with her lover in Rome, when a gunman murders her husband, a high-level politician, less than a mile away. Helen immediately finds herself both a suspect and suspicious of those around her – including her friends and her husband’s family, and her lover, Giacomo, an ex-terrorist with a new wife and a reinvented life. As Helen struggles to understand her husband’s death and the extent to which she and the people she knows may have been responsible, she is forced to examine her own past and peel back the years of secrets and lies. 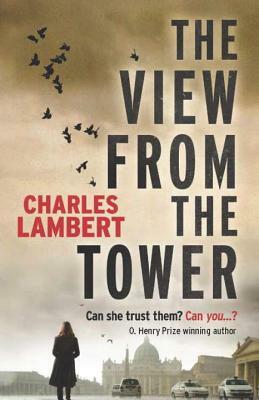 CHARLES LAMBERT was born in 1953 and went to Cambridge in 1972. In 1976 he moved to Milan. Currently a university teacher, academic translator and freelance editor, he lives in Fondi, exactly halfway between Rome and Naples. His first novel, Little Monsters, was published in 2008, the same year as his collection of prize-winning stories, The Scent of Cinnamon and Other Stories, won an O Henry prize. "...a superb, deeply thought-out book written by an author who recognizes the darkness of the human heart."